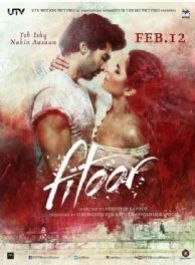 Fitoor is an upcoming movie directed by Abhishek Kapoor and produced by Siddharth Roy Kapur.The film features Katrina Kaif, Aditya Roy Kapur and Tabu in lead roles.The movie is an adaptation of Charles Dickens's classics Great Expectations. Waiting for the movie to come on screen. It will be a huge blast and I'm pretty much sure of that! Katrina Kaif does not want to work with This Co-Star Once Again? Salman-Katrina to come together in Brand World? Katrina Kaif to only do films with established actors?